Killer Characters: Whoohoo -- another book! We thought we'd have a bit of fun today and everyone of us get in on this blog. After all, it is release week! 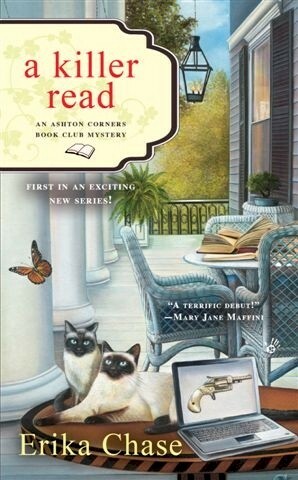 The fourth book in the Ashton Corners Book Club Mysteries came out on Tues. and we're all part of the fun. 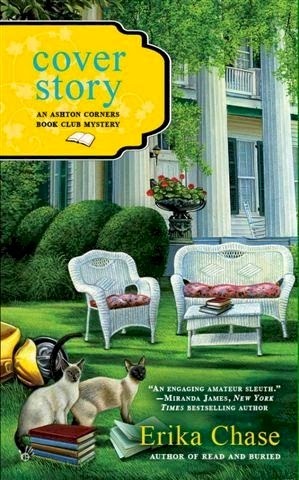 Our cozy book club of seven started a couple of years ago, thanks to Lizzie Turner and Molly Mathews. It's Molly's wonderful antibellum mansion that we meet in the third Thursday of each month. And the wonderful old library setting adds to the charm of our gathering. There are seven of us of varying ages, background...and sexes. So you can imagine that makes for some mighty interesting discussions. Take Molly. She loves her Agatha Christie whereas Bob Miller, our retired police chief, would rather be reading a police procedural. Sally-Jo Baker, she's a third grade teacher, likes the cozies, along with Lizzie, and Stephanie Lowe, who is a newcomer to Ashton Corners, a young mama and now part of our family. Jacob Smith, he's sweet on Sally-Jo, tends to stick with Bob in reading tastes. While Andie Mason, our youngest at a sweet 17, is stuck in a Janet Evanovich stage. Lizzie had to bribe her to join the club, hoping to set fire to her desire to read, and it worked. Oh boy, did it ever. By the way, Lizzie Turner is a reading specialist, Literacy teacher by night, and smitten by the current Police Chief, Mark Dreyfus. 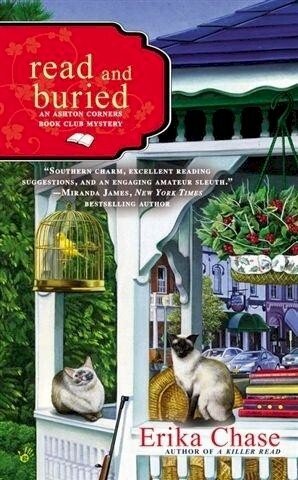 Anyway, we've been discussing, and taking issue, and laughing our way through three previous Ashton Corners Book Club Mysteries. In this fourth one, Book Fair and Foul, we're all helping with a book fair and that's a lot of work with four lively mystery authors coming to town. Of course, someone ends us dead. Now, that's something we all agree on -- if there's a dead body, we'll pull together to solve the crime. And, there's always a dead body. LOVE the covers of this series and look forward to reading, "Book Fair and Foul". I love them, too, Pat! Berkley has a wonderful couple who does all my covers. Thanks for commenting! I hope you enjoy the read. I preordered this book and it was downloaded on my kindle on release day on Tuesday. I plan on reading it this weekend. Can't wait. Love this series. I feel like the book club characters are my friends. So happy to hear that, Annette. Hope you enjoy it!